Ah! That first sip of beer when you’re hot and thirsty after walking through a volcano. Okay, it wasn’t really that strenuous. Oh alright, it was just a really pleasant stroll along shady paths in La Garrotxa volcanic nature reserve in Girona province in Catalunya, but that beer certainly slipped down well. It wasn’t just any old lager though: this was Keks, a unfiltered buckwheat beer brewed locally by Pep Nogue i Puigvert, the man who had handed me a glass as I and my fellow walkers arrived at a restored farmhouse in the nature reserve . 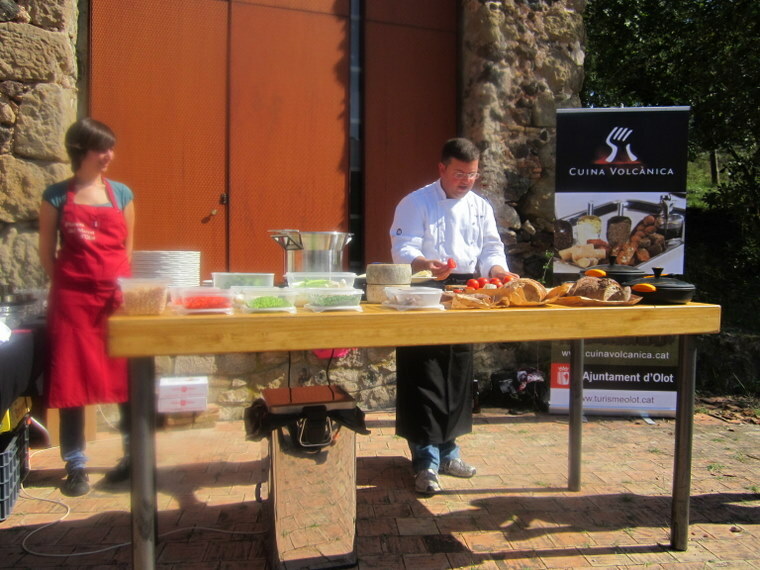 A chef and a bit of a tv celebrity too, Pep had set up an al fresco kitchen in the courtyard and was all set to show us what volcanic cuisine is all about. The volcanic cuisine movement began in 1994, when a group of local chefs came together to reclaim their extraordinary produce and traditional recipes. Although family cooking is at its heart, Michelin-starred restaurants in La Garrotxa, such as Les Cols, are leading exponents of the concept. Pep himself started working in a restaurant kitchen at the age of 10, and later worked for 13 years at El Celler de Can Roca, which has three Michelin stars and is one of the best restaurants in the world. 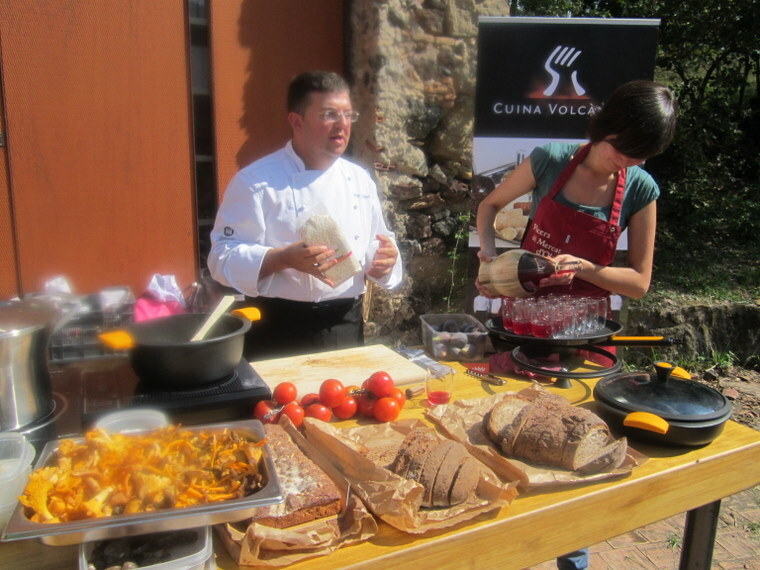 Now he passionately promotes the cuisine of La Garrotxa, reviving old recipes and endeavouring to prevent local varieties of fruit and vegetables from dying out. 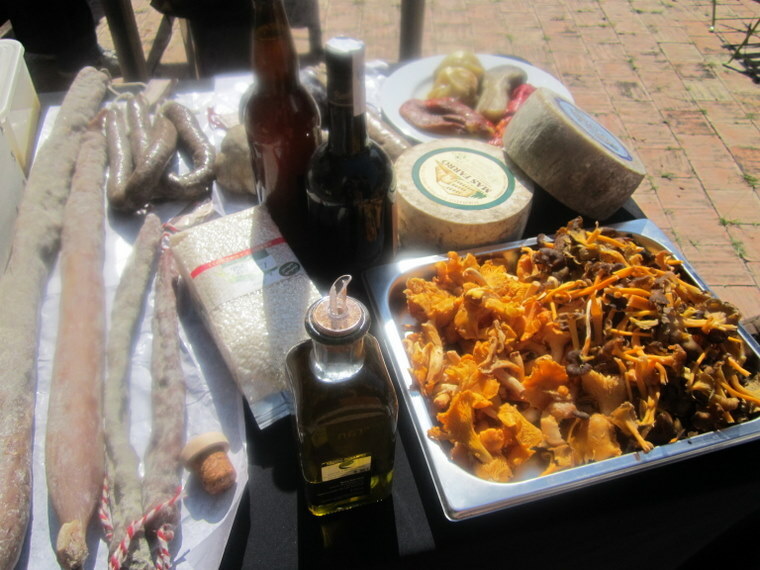 His many fans include Ferran Adria and Carlo Petrini, the founder of the Slow Food movement, who was incredulous that the produce of La Garrotxa is not better known. At the rate Pep Nogue is going to bring the delights of his region to the wider world, I can’t see that being the situation for too much longer. ‘Any more of that Keks beer going?’ I asked hopefully. Have a look at Costa Brava Pirineu de Girona, who organised my volcanic walk and lunch, for more information and ideas about travelling in the region. Has Keks got the power to make you remove your own? Have to say I’m growing into a huge aficionado of La Comida Española. That rustic bread you describe with the rubbing of tomato has made a string of saliva stain my keyboard. Even my dog is looking at me in shame. After I used all my willpower not to make any keks jokes…. 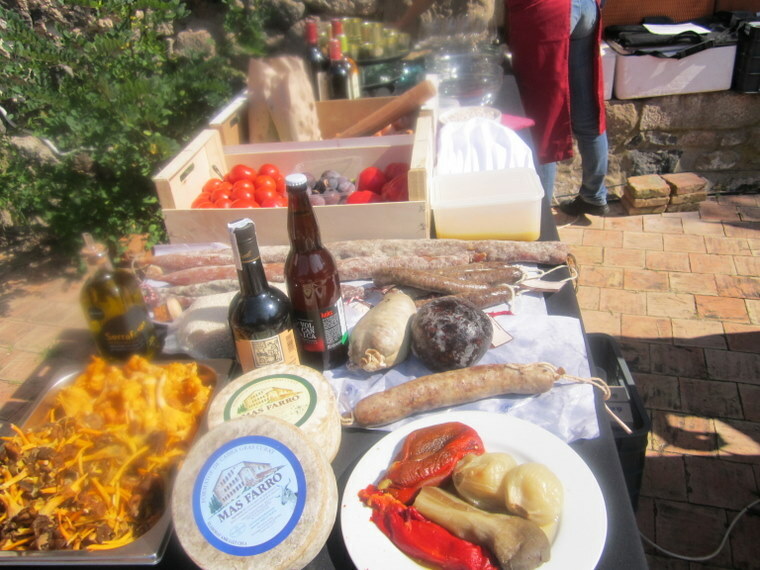 There was indeed some great food on the Girona Pyrenees trip. Will be posting about a pizza topped with the best jamon iberico soon!